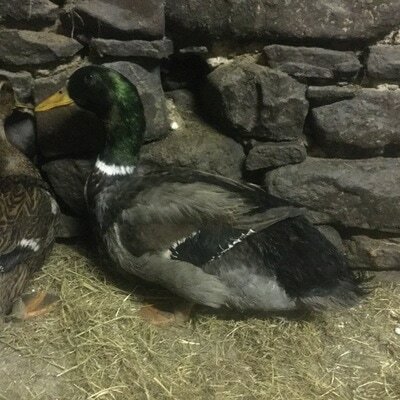 The Rouen is a heavyweight breed of domesticated duck raised primarily for decoration, exhibition or as general purpose ducks, since they are not prolific egg layers. Rouen ducks are frequently used for meat. The breed originated in France sometime before the 19th century. 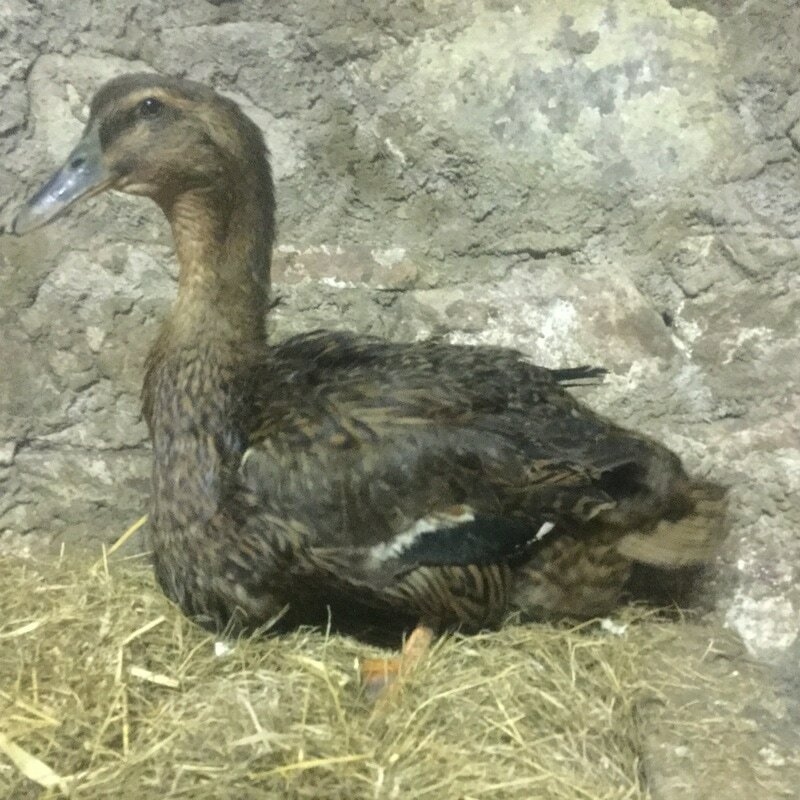 Rouen ducklings can be distinguished from wild mallard ducklings by the presence of a second stripe which runs across their face, just under their eye, whereas mallard ducklings have only one stripe which runs across their eye.